When agencies and brands understand customers better, they serve those customers better. And when they serve those customers better, they improve bottom-line business results. 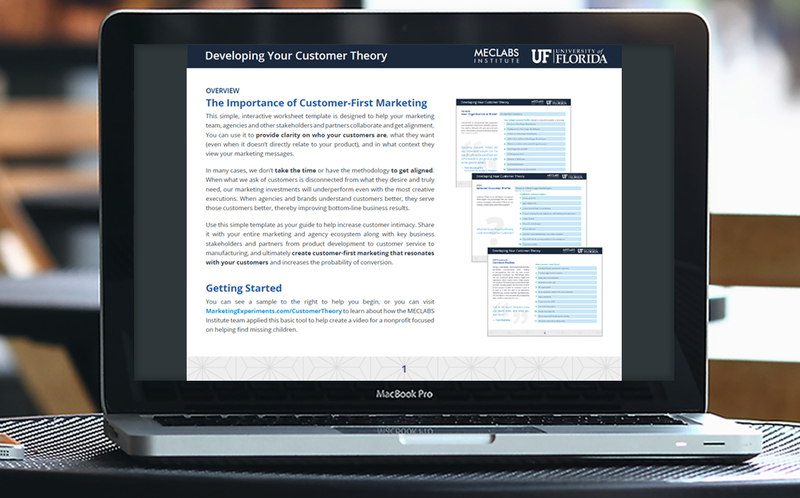 This simple, interactive worksheet template is excerpted from MMC 5422 | Customer Research and the Fundamentals of Online Testing, a course in the Communicating Value and Web Conversion graduate certificate program from the University of Florida and MECLABS Institute. It is designed to help your marketing team, agencies, and other stakeholders and partners collaborate and get aligned to power your customer-first marketing — on who your customers are, what they want (even when it doesn’t directly relate to your product), and in what context they view your marketing messages. In many cases, we don’t take the time or have the methodology to get alignment across every internal and external employee who affects the marketing message. When what we ask of customers is disconnected from what they desire and truly need, our marketing investments will under-perform even with the most creative executions. 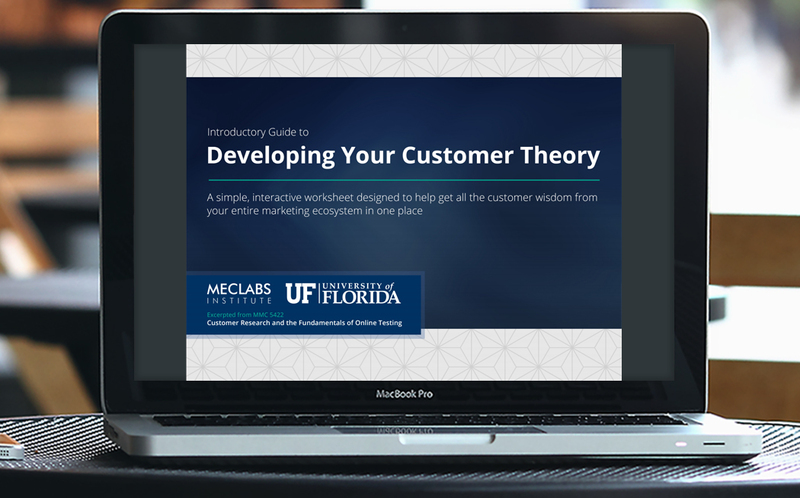 Use this simple template as your guide to help increase customer intimacy, share it with your entire marketing and agency ecosystem along with key business stakeholders and partners from product development to customer service to manufacturing, and ultimately create customer-first marketing that resonates with your customers and increases the probability of conversion. To get the worksheet right now, simply fill out the form below, and we’ll send you an email with a link to instantly download your copy. For almost 20 years, MECLABS has been the world’s largest independent research institute focused on understanding why customers say “yes.” The Institute’s scientific approach, discoveries and patented heuristics have enabled marketers to achieve their goals.